New Delhi: Doctors at AIIMS pitched for spreading awareness about mental illnesses among the higher-ups of companies so that they can help employees suffering from such conditions get treatment. 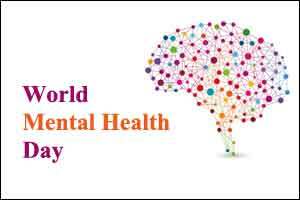 On the occasion of World Mental Health Day, Dr Rajesh Sagar, Professor, Department of Psychiatry, AIIMS said there is a wrong perception among people that a mentally ill person cannot work properly. “If he or she gets treatment, that person would be able to work and could be productive for the company. We have to come out of this perception,” he said. “Rather than finding fault with them, employers must encourage them to get treatment. Not taking interest in work, missing deadlines, repeated pleas for leave, consumption of alcohol, repeated mistakes are some signs that the person is not mentally well and needs help,” Dr Sagar said. He said a job not only provides a salary but also gives social status and thus it is important that an employer takes care of employees suffering from mental illness.